We know that sound travels in waves. Those waves are invisible, but if you put loose pebbles, or seeds or whatever it is these Jaguar engineers use on a surface that can transmit vibrations, you can “see” what the sound is doing. Of course, it’s not quite as simple as just backing an F-Type SVR up to a flat surface and letting loose with the skinny pedal. That would certainly be fun, and you know that 5.0-liter V8 sounds amazing. In the SVR it makes 575 horsepower, which is good for sound but also for sending anything smaller than a Chihuahua’s collar flying into the lower atmosphere. 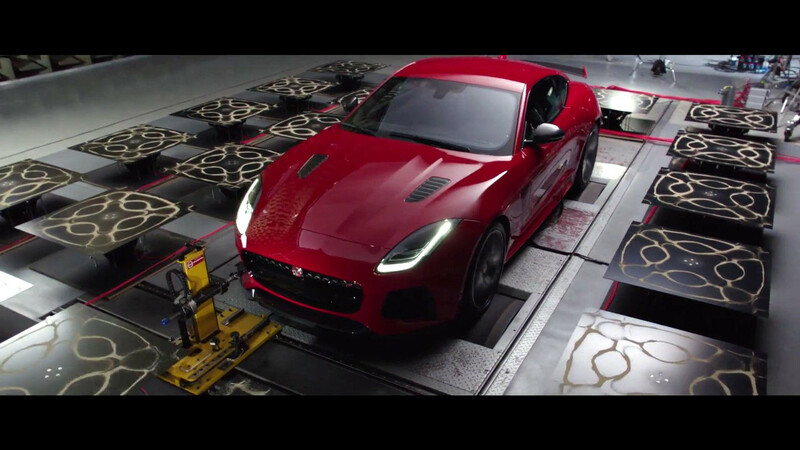 That’s why, for this experiment in visualizing an exhaust note, the big brains at Jaguar set up a rather complex rig in the company’s anechoic chamber at Gaydon, in the United Kingdom. What is an anechoic chamber you ask? Simply put, it’s a room that doesn’t echo, which is the perfect place to have fun with cymatics. What the heck is cymatics? Basically, it’s a fancy term for using sound to create visual patterns in things. Hey, we told you to expect some science. Actually, that’s pretty much the extent of our scientific wizardry for this particular piece. 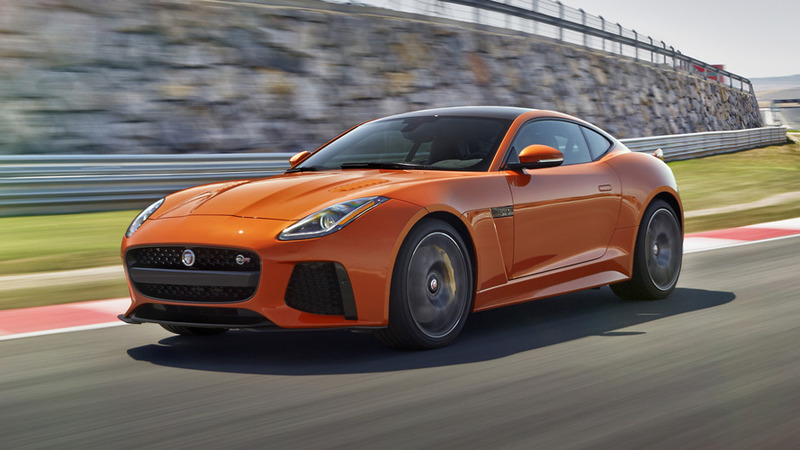 Whether Jaguar is piping the F-Type’s exhaust note to the speakers beneath the plates, or if some other form of sound transmitting is taking place, we don’t know. Neither do we care, because watching these clearly defined shapes forming as the engine works through the rev range is as mesmerizing as it is astonishing. It’s sound that we can see; the F-Type’s 5.0-liter fire breather creating complex geometric patterns in such a manner as to make you wonder if there’s some other side to all this that science isn’t even aware of yet. So sit back and turn up your speakers, but this time keep your eyes open. Because the Jaguar F-Type SVR has an exhaust note that sounds – and looks – breathtaking.